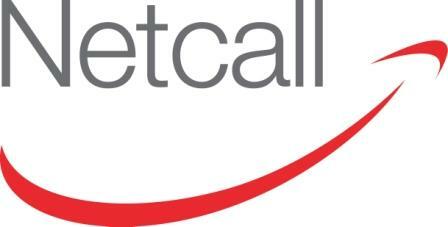 Netcall's software product suite provides compelling solutions for end-to-end customer engagement, incorporating Customer Self Service, IVR & Speech Recognition, the Multichannel Contact Centre, PCI IVR Payments, Workforce Optimisation, Case & Document Management, Proactive Outbound Applications and Customer Service. Our UK development teams design philosophies include an emphasis on standards, quality and security. Our target markets comprise organisations of all sizes, including many blue-chip companies with global contact centre operations. The Netcall software platform helps organisations meet the growing demands of their customers and prospects whilst improving internal efficiencies, thereby increasing profitability and customer satisfaction. Netcall's customer base contains over 700 organisations in both the private and public sectors. These include two thirds of NHS Acute Health Trusts, major telecoms operators such as BT and Cable & Wireless and leading organisations including Interflora, Lloyds TSB, Cineworld, Interserve, Orange and Thames Water.